Which Hot Hatchback Is The Best On A Wet Track? When it comes to putting power down on a wet track, the more grip, the better. Car Throttle tested the Civic Type R, BMW M140i and Ford Focus RS on a wet track to see if the drive wheels really matter on a slick surface. Europe gets a really nice selection of hot hatchbacks, some of which were forbidden fruit for buyers here in America. 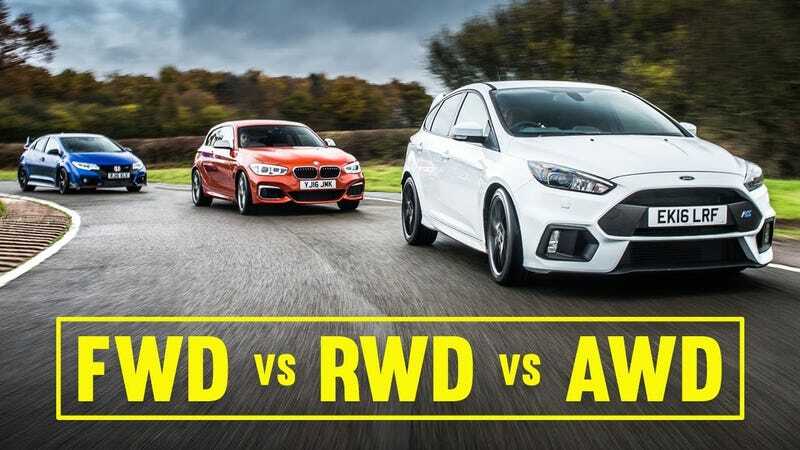 Now that the Ford Focus RS has made its way across the pond, Honda will soon follow suit with the next generation Civic Type R. But don’t hold your breath for a rear-drive BMW hatchback in your local showroom anytime soon. So, which is the best choice if your local race track is more often wet than dry? 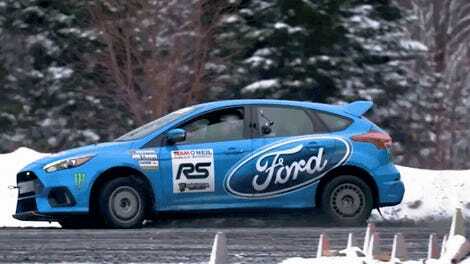 The winner may be predictable, but it’s interesting to see how much of an advantage all-wheel drive gives you. Does Ford Make A Better German Performance Car Than BMW?